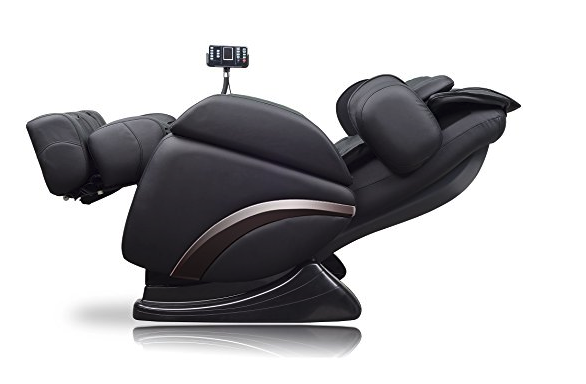 If you’re looking for that massage chair that is relatively low cost but also has the features that higher-end chairs have, then consider the iDeal Massage Chair. It comes available in 4 different options: beige, black, brown, and red. If you’re on the market for a massage chair, there are handful of features you would expect in a chair of this size and price. 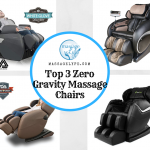 Zero gravity, auto programs, and different massage types to name a few. Let’s go through each of them and see how they compare to the chairs on the market. Like other chairs with zero gravity, the iDeal massage chair comes with 3 positions for zero gravity. The first tilts the chair slightly; the second will position your body parallel to the ground; the third will incline your legs above your heart. 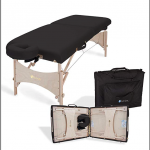 There are four massage functions to choose from. These functions are different types of massages that would could get from a real masseuse. There are: Kneading, Shiatsu, Rolling and Vibrating. Shiatsu is supposed to focus more on the pressure points and kneading more on the spinal area. However, there isn’t much difference between the two. 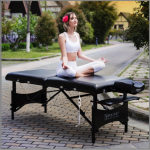 Spinal rolling focuses the massage rollers near your lumbar area and vibrations is just… a lot of vibrations. Most of the auto programs incorporate few of these massage functions so it’s nice to not have to think about what goes well together. After all, massages are supposed to be relaxing. I call these the “big 3” of interfacing. If you can control the timer of the massage chair, the speed, and the intensity you got yourself a good chair where you can control the things you want to control. iDeal Massage Chair has all 3. The timer can go up to 30 minutes. This is considered one of the better features as the standard used to be 15 minutes (due to manufacturers wanting to avoid overheating). Obviously from a consumer stand-point, you don’t want to be turning it on every 15 minutes especially in midst of a comfortable back-reliving massage. Simply put, the “Activate” program puts most of the gears of the massage chair in motion. It’s definitely the program you want to try first to see what it’s all about. “Relaxation” is more a tone down version of “Activate.” “Upper Back” and “Lower Back” specifically targets area on your back. Aside from the big 3 of interfacing, you have the ability to target specific areas on your back using the arrow keys. You can also fix the rollers to a particular part using the “area” button. Brands love to flaunt the number of air bags their chair has. For good reason. The airbags are a crucial component of air compress massages. It’s just fancy term for “squeeze” massages. iDeal has airbags that massages your feet, calves, upper lags, forearms, and shoulders. The intensity level can be controlled by the remote. There are wheels on the bottom of the massage chair that makes it easy to move. You can lock these in place so you don’t fall and slip once their set in their location. The chair also has heating capability. It’s not as nice and refreshing as a hot towel pressed onto the back of your neck. The heat is best classified as lukewarm. It comes with a 3 year warranty on the steel frame, body, and all the electronic parts. They also offer a 10-day return policy from the day you receive your chair. Keep in mind you have to arrange your own freight and they will incur a 20% restocking fee to your refund. No review is complete without some improvements! I’m very picky about my massage chairs, so I have quite a few. I’ll outline my biggest complaints so that you’ll be fully aware of what to expect. iDeal only offers curb side delivery. They don’t offer any additional service to have it installed or hauled into your home. This isn’t a deal breaker per se but obviously it would nice to have someone else bring the chair into the house (it’s very heavy!). If you are the type to enjoy deep tissue massages, you aren’t going to enjoy iDeal’s massage chairs. They are a bit mild in terms of strength. A work-around that I found is to remove the headrest so that you can directly feel rollers. The airbags works well except the ones in the arms slot of the chair. They tend to squeeze your arm out so you have to apply a bit of pressure outward with your arms in order for them to stay inside the slot. Lastly, the foot massager is more a thing that pressed on your pressure points than a massager. It would be nice if there was a roller that goes back and forth but instead your feet gets pressed into the rollers. 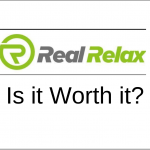 The iDeal massage chair is great for those who don’t want to dish out $4,000 or more on a massage chair. It has all of the features that one would expect in luxury massage chairs. However, keep in mind the places where iDeal falls short as it might be difficult to accommodate for places where it lacks. Question: Does the foot rest extend? Question: Do the arm, leg and shoulder air bags give a firm squeeze? Answer: Yes, especially in the second level of firmness which you are able to control via the remote. Question: What is the maximum weight capacity for this chair? Question: Will this fit comfortable for a person of 6’4”? Answer: It may be a hard fit for someone 6’4”; It would fit comfortably for up to 6’1”.